The review is from is an Amazon verified purchase. The reviewer, Rosemarie, has reviewed almost thirty items with reviews ranging from one to five stars. DELRAY BEACH, Fla. - April 7, 2014 - PRLog -- DTR Inc.'s CEO, Jay Goldberg, is the author of a number of workplace training books on the topics of entrepreneurship and work readiness. 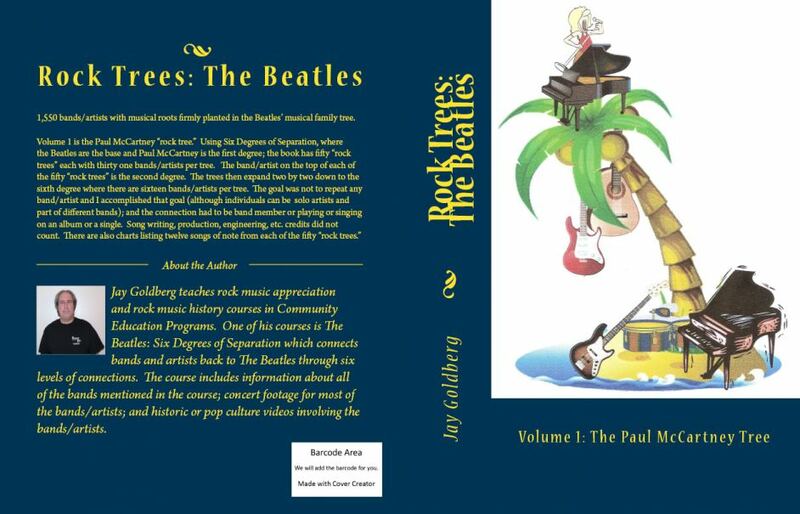 This book, Rock Trees: The Beatles is his first non-business book. It is a music genealogy book that connects 1,550 bands/artist to The Beatles using the Six Degrees of Separation Theory. This is volume one and connects all the bands/artists to The Beatles through Paul McCartney. Additional volumes for The Beatles and other bands are planned. There are also over 600 song recommendations from the 1,550 bands/artists, thirteen of which were from bands unknown to Jay Goldberg before performing the research for the book. An article listing those thirteen, with links to YouTube videos so the reader can listen to songs from those bands/artists can be found at http://voices.yahoo.com/a-bakers-dozen-songs-bands-artists-may-12593877.html?cat=38. “I must admit I thoroughly enjoyed Rock Trees: The Beatles. Briefly, it's a "genealogy" of bands and musicians on the Beatles' musical family tree via Paul McCartney. The book is well thought out and researched. The text is easy to read and the charts are an invaluable visual aid. For example, an artist is named (in this case, Al Stewart) and the connection between Al and Paul McCartney is noted (in this case, Laurence Juber is the connection between Al and Paul). Surprisingly, after a list of connections we end the tree with Dexy's Midnight Runners.